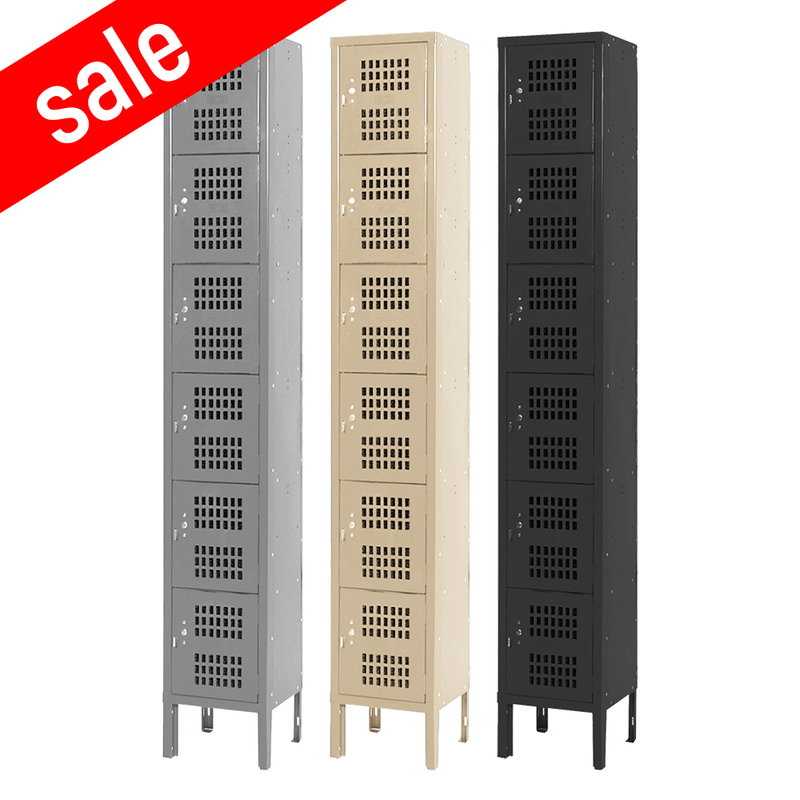 These Sports Lockers for Home are available on www.buyusedlockers.com where they have a huge selection to choose from if we need additional supplies. 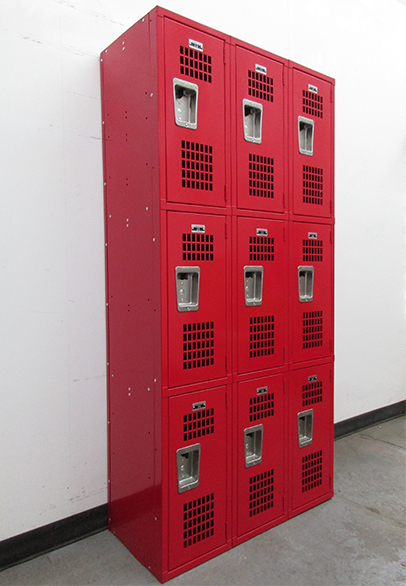 These bold, red sports lockers will make an affordable addition to any locker room or athletic setting. They are in almost new condition and can also be used in the home for gear storage, in a boy's sports-themed bedroom, mudrooms, garages, game rooms and more. The doors on each locker include perforations which are designed to keep air flowing, they are especially useful for storage of wet clothing and shoes that is common with athletes. The interior of each compartment includes multiple steel hooks for hanging bags, accessories and other items. 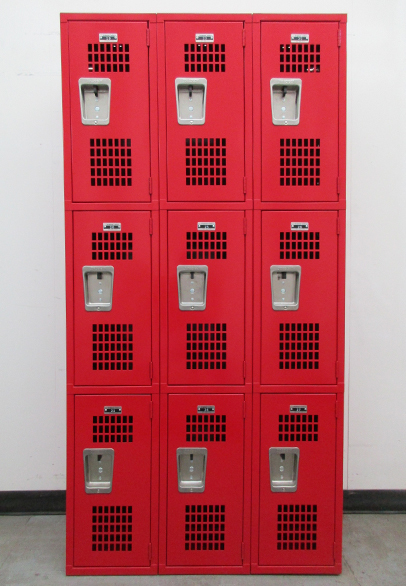 Locker doors feature stainless steel, recessed handles which can be easily secured with padlocks to secure possessions. 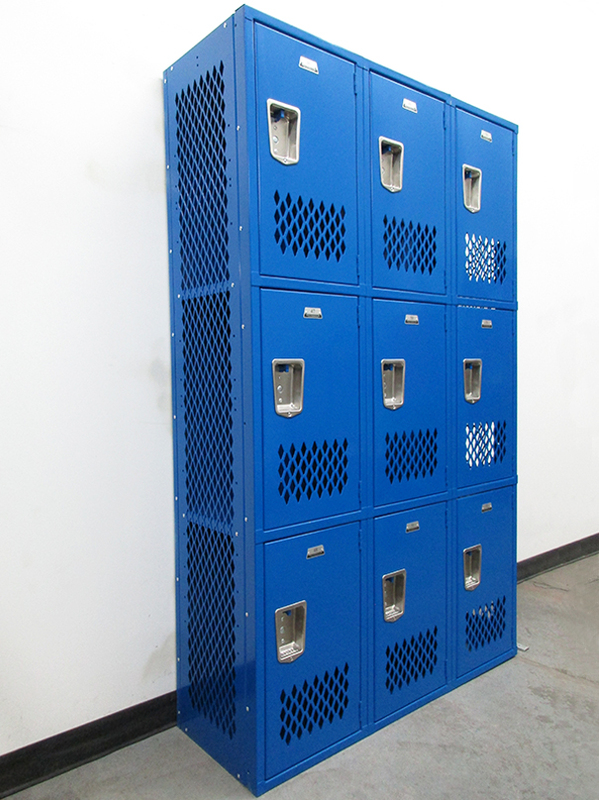 Lockers are purchased in vertical columns and sold in sets of 3-wide (9 doors). 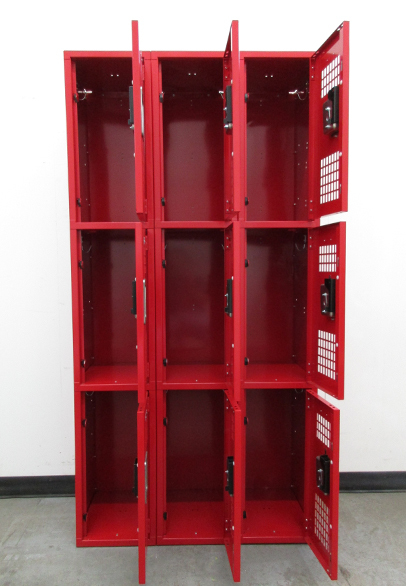 We only have a few frames of these popular sports lockers available, so snag them while you still can!